As a part of the Australian Associated Press (AAP), Medianet has unparalleled access to what events newsrooms are planning towards. So to ensure you don’t miss out on upcoming pitching opportunities, we’ve leveraged our position in the media to bring you all the significant dates in 2019. From public holidays and national celebrations to international observances and events, keep-up-to-date with what’s happening in the media and start conversations to grow your media outreach and coverage. 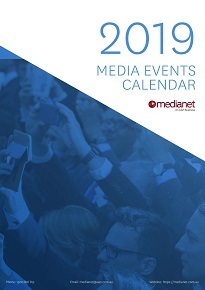 Download our 2019 Media Events Calendar to inspire your year-round media campaigns. Want to submit your upcoming event to Australian newsrooms? Get your upcoming event in front of over 12,000 journalists and editorial inboxes across Australia when you sign up for free to the Press Release Distribution service.